Over the last year, Belgian painter and sculpturor Stefaan De Croock aka Strook began working with repurposed wood panels, doors, and furniture to construct giant faces on the side of buildings. via Repurposed Wood Doors and Furniture Transformed into Geometric Faces on the Streets of Belgium | Colossal. French architect Stéphane Malka, known for this previous proposal for a facade made out of recycled pallets, has created this intriguing project for an open, common space for nomads to temporarily live in. via Shared urban micro-shelter is made out of salvaged doors & windows : TreeHugger. Neighborhoods where the new strategies have been applied have seen home prices rise 31% over four years, compared with a 1% rise in comparable areas, according to a study by Ira Goldstein of the Reinvestment Fund. The initiatives increased home values by $74 million throughout Philadelphia, Goldstein said, and brought in $2.2 million more in transfer tax receipts. Philadelphia had been spending millions of dollars a year to tear down vacant properties, and it didn’t seem to be making much headway, said Rebecca Swanson, who directs the city’s vacant building strategy. So in 2011, city officials decided to try a strategy they hoped would prevent properties from becoming run down in the first place. The city utilized software used by the IRS to track down owners of the vacant buildings. Then the city took the owners to a newly created Blight Court. The door and window ordinance also allows the city to attach liens to property owners’ other personal property, including, in some cases, mansions in the suburbs. “That was the whole point, to catch them early, cite them for doors and windows, and hopefully that incentivizes the owner to come out of the woodwork and do something,” Swanson said. via City of Brotherly Love finally tackles neighborhood blight – latimes.com. via Half Cut Tea . com | Nick Olson & Lilah Horwitz on Vimeo. Contrary to the mass marketing that fills our mailboxes, original windows can be refreshed and repaired to meet today’s energy savings goals. At the same time, preserving original windows also preserves historic character and re-uses material is inherently sustainable. This workshop covers the basics of identifying problems and repairing the wood windows in our older homes. To address these issues, the AHC welcomes back Patty Spencer, owner of Fresh Air Sash Cord Repair Inc. Patty will share her years of experience in preserving and restoring the function of original, double-hung, wood windows found in homes built in the 1940s and earlier. With a focus on improving function, this workshop will cover the basics that owners of older homes should know, including: signs of window deterioration, preventive maintenance measures, good maintenance and repair practices, plus good ideas about weatherization. 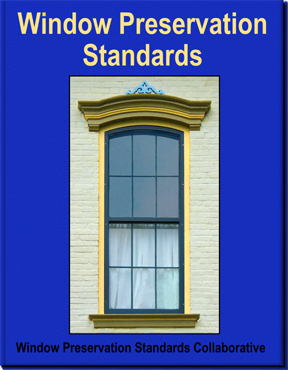 If you love your original, double-hung windows, but just wish they worked better—they can! Come learn to do-it-yourself from a local expert. 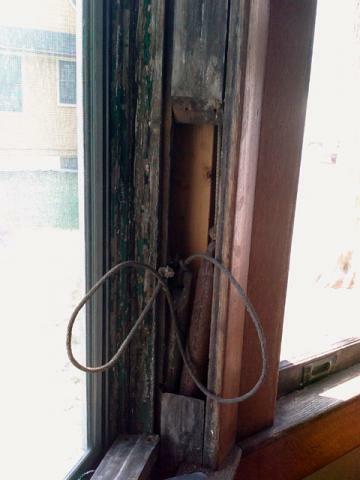 via The Basics of Wood Window Repair | Architectural Heritage Center. 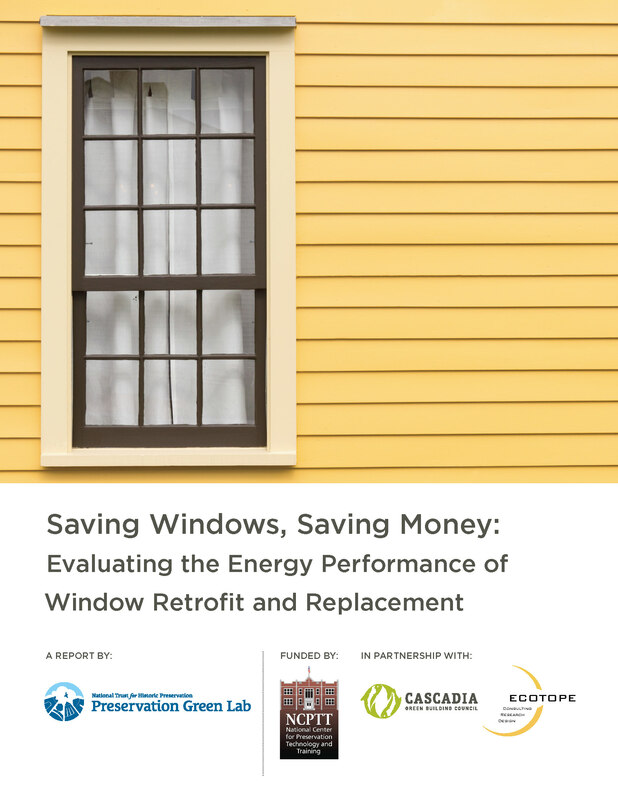 Results of this analysis demonstrate that a number of existing window retrofit strategies come very close to the energy performance of high-performance replacement windows at a fraction of the cost. But for others who are facing this decision — and there are an estimated 50 million homes in the U.S. with single-pane windows, so I know you’re out there — I have important information: A new study [PDF] from the folks at the Preservation Green Lab, a program of the National Trust for Historic Preservation, found that retrofitting windows can save nearly as much energy as replacing them, and costs much, much, muuuuuuch less. The study, which compares various window scenarios across various climates (Boston, Atlanta, Chicago, Phoenix, and Portland), confirms what those in the world of preservation have been politely suggesting for some time now: old panes beat new panes. You can find out more in this helpful overview from the California Office of Historic Preservation. So what is this “retrofitting” of which we speak? Well, it can be a fancy task undertaken by trained professionals or ambitious DIY-ers, involving things like insulating counterweight pockets or installing new suspension systems. 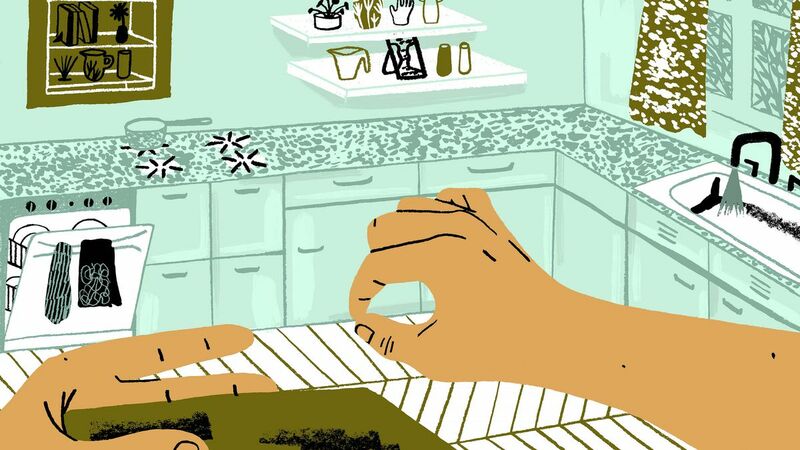 Or — and here is the good news — it can be an unfancy task undertaken by people like you and me, involving things like installing storm windows, hanging cellular shades [PDF], and adding weather-stripping. The new study has some helpful pros and cons for each of these options, and emphasizes that other energy-saving steps around the home are also important. 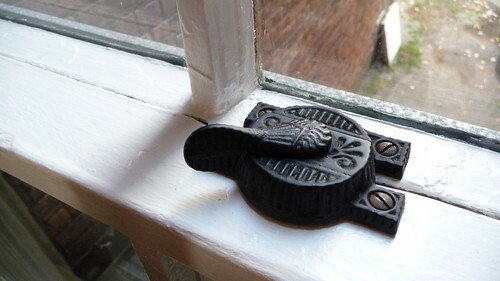 Read it via Ask Umbra: Is retrofitting windows better than replacing them? | Grist. When you live in a 550-square-foot flat in Los Feliz, even something as seemingly minor as a side table becomes a tricky addition to the small-space puzzle. The solution? 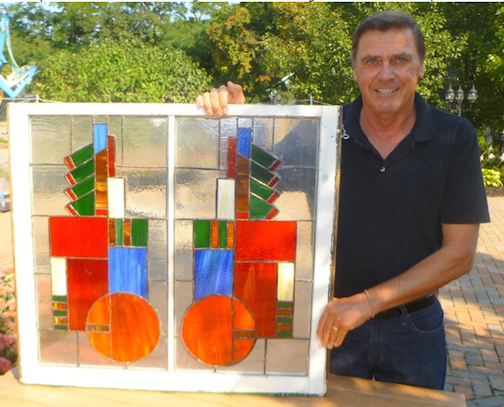 A $25 vintage window from the flea market. This crafty DIY fits a side table into a tiny nook beside the couch, leaving plenty of space underneath for more storage as needed. The window frame was sanded and stained, finished with a new glass top, and mounted on the wall with simple support brackets. The final price tag came to $65 — but could be less if you salvaged materials elsewhere. via DIY Side Table from a Leaded Glass Window Los Angeles Times | Apartment Therapy. The guys of REFUNC, a Dutch collective of architects and builders, created this upcycled architectural installation. The Road Air is a flexible and movable ‘house’ that can be built in one day. An old trailer, interior windows of airplanes, fish crates and on old carpet were blended into a new highly movable shelter that looks very good thanks to the specific round shape of the airplane windows. REFUNC’s approach involves solitarily old and used materials to create crazy new architectural typologies. REFUNC’s founders Denis Oudendijk en Jan Korbes, who’ve done pretty cool other projects like Millegomme, have lots of experience with the transformation of urban left-overs into good-looking architectural forms. Rather famous is their floating capsule hotel made out of an old rescue boat, as well as the windmill container — a self-supporting container pavilion with huge unused windmill blades on its roof. Also Millegomme’s shelter made from old care tiles is rather brilliant. With this project, Oudendijk and Korbes also try to inspire and help people in less fortunate living conditions in slums all over the world. Although these people might not read TreeHugger or Inhabitat to stumble upon the nice concepts and designs that Millegomme makes with old auto tiles, the idea of using old materials that are available everywhere in the world to make good architecture, is really interesting for this specific purpose. via Superuse.org: Where recycling meets design | Road Air by Refunc.